It helps the user find content faster by searching across your libraries and across Adobe Stock. Documents can be published and distributed online where they can be viewed without a plug-in. Publish Online is now available in all InDesign CC languages and includes the ability to embed the link in a website, share on Twitter and e-mail and get analytics around document views. Plus, edited documents can now be republished to the same URL. One can also create layouts using the new touch workspace optimized for the Microsoft Surface Pro or any Windows touch device. The user can use intuitive gestures to create objects, text boxes and more, include images from Creative Cloud Libraries, etc. In order to complete a layout, the user can attach the keyboard or switch to any other InDesign workspace. Set or change an object’s size or position once and it updates everywhere in your document. Q. How do I download and install InDesign? You can download InDesign from the Creative Cloud apps catalog. You'll need to sign in with your Adobe ID and password to complete the download. For more information, including how to install older versions or check for updates, see Download and install Creative Cloud apps. Q. Why won't InDesign install? Q. 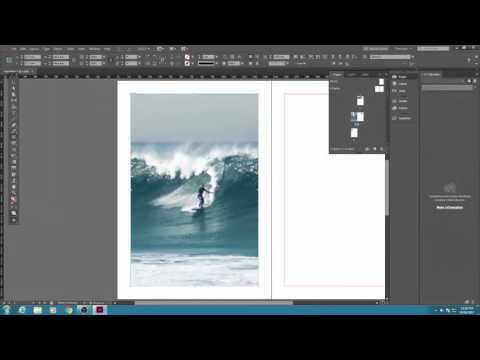 Can I install InDesign on another computer?